YesterYear by Tommy Hancock, Published by Pro Se Productions. Cover Art by Jay Piscopo, Interior art by Peter Cooper, Format and Design by Sean Ali. A world where heroes and villains existed since the day the market crashed and the world almost collapsed. Common people granted great powers and awesome responsibility. A world where one of them knew all the secrets, good and bad, and put them down in a book. A world where that man and that manuscript disappeared. Until now. 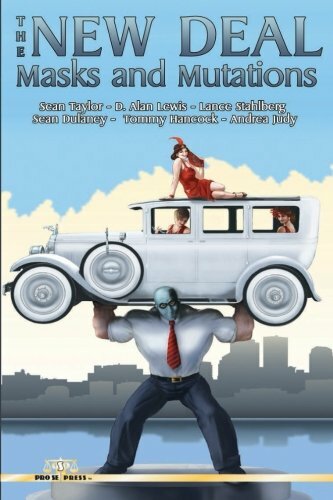 YESTERYEAR is the first book in an epic series chronicling the adventures of Heroes and Villains, both in the Heroic Age of the 1920s-1950s and in the modern day. Centered around a missing manuscript that might hold information that could literally change history and even mean the end of the world, YESTERYEAR alternates between a fast paced modern storyline about the man who ends up with the legendary book and excerpts from the mythic tome itself. 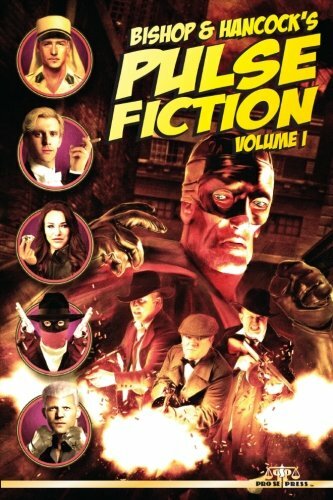 Marvel to pulp like adventures of glory and adrenaline and become engrossed in the humanity and horror of being a Hero. 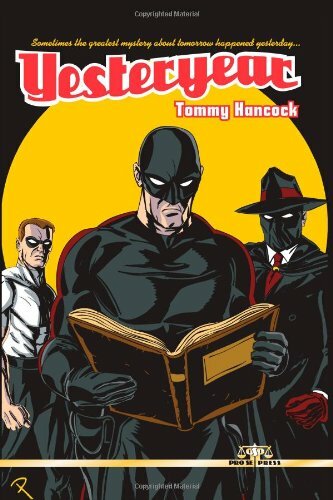 YESTERYEAR by Tommy Hancock-Sometimes the Greatest Mystery of Tomorrow happened Yesterday! "When The Good Is Swallowed By The Dark...There The Rook Shall Plant His Mark!" For years, New Pulp Author Barry Reese has masterfully written the thrilling adventures of The Rook, a masked Hero of Reese's creation who is compelled through dark dreams to hunt down and destroy evil wherever it might hide! Assisted by loyal friends and a vast array of allies from the annals of Classic and New Pulp as well as Comics of a bygone era, The Rook's escapades have been a hallmark in the world of New Pulp! Now, for the first time and under the REESE UNLIMITED imprint, Barry Reese has invited some of New Pulp's finest authors into The Rook's world to put their unique spin on the character and tell their own tales...TALES OF THE ROOK! Featuring stories by Ron Fortier, Bobby Nash, Mike Bullock, Percival Constantine, Tommy Hancock, and a brand new ROOK tale by Reese himself, TALES OF THE ROOK also features an explosive cover by Bob Hall, stunning interior art by George Sellas, and outstanding format and design by Sean Ali and Ebook formatting by Russ Anderson! Ready for the best in New Pulp? Get it today in TALES OF THE ROOK! From Reese Unlimited and Pro Se Productions! 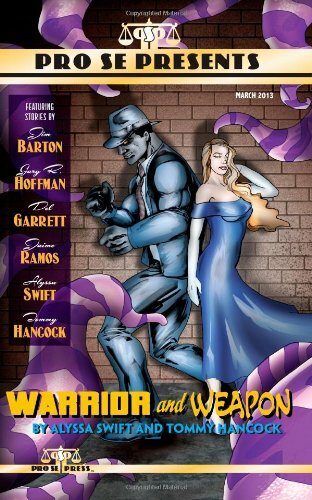 Pro Se Presents March 2013 comes out shooting, punching, and fighting with five great tales of action, adventure, intrigue, and all out Pulp! EXTRA SIZED ISSUE! Featuring three winners of the 2012 Pro Se sponsored White County, Arkansas Writers Competition, this issue opens up with Six Guns, Desperadoes, and men willing to die for what's right! Also featuring the debut story of author Jaime Ramos! And the debut of a pair of new characters destined to be a force in New Pulp- The first adventure of STONE KOLDE by Alyssa Swift and Tommy Hancock premieres in PRO SE PRESENTS MARCH 2013! Featuring a stunning cover by Marc Guerrero and Format and Design by Sean Ali and Ebook Formatting by Russ Anderson, get all the Pulp You can handle in the latest issue of PRO SE PRESENTS! Every City has one. That place, neighborhood, or borough where the forgotten live, where the once great land when they fall, where the tarnished and corrupt shine and where Justice and Fairness caught the last train out of town. Welcome to the Ninth Circle. The 9th Precinct is known as ‘The Ninth Circle’ or “The Dante Precinct’. This part of town is where all the losers end up. If you work for a company or the city government and they want to get rid of you, they put you in their office or working over on Last Chance Lane. If you’re a criminal and you’re hiding from the law, other criminals, and yourself, you end up in the Ninth Circle. Imagine the city as a dumpster. The rank and fetid, the foul and odorous, the really discarded and misused trash all sinks to the bottom. They all end up in the Ninth Circle. Join Tommy Hancock, R. P. Steeves, and C. William Russette as they introduce the people that populate the city’s last stop to nowhere. 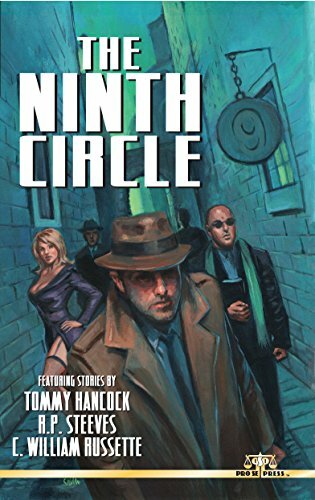 Dirty cops, mysterious priests, shadowy nurses, a man with no name, and more are the lifeblood of The Ninth Circle. From Pro Se Productions. "Where the Good is Swallowed by the Dark... There the PEREGRINE Shall Plant His Mark!" New Voices guide the Peregrine through dark dreams and savage foes! Max Davies has pursued an ongoing mission of justice and vengeance guided by dark dreams and violent visions which compel him to don the mask of THE PEREGRINE. 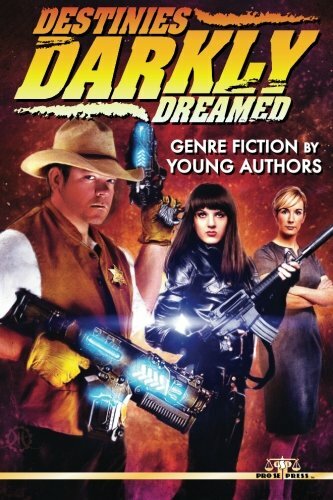 The creation of award winning Genre Fiction author Barry Reese, the amazing adventures of the Peregrine have been devoured by a loyal audience who await Max's next adventure in the ever expanding REESE UNLIMITED universe. 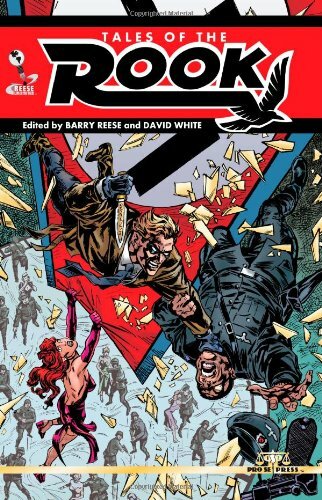 THE PEREGRINE OMNIBUS VOLUME THREE brings together an allstar line-up of New Pulp's finest who lend their distinct voices to the narrative of Reese's signature hero. 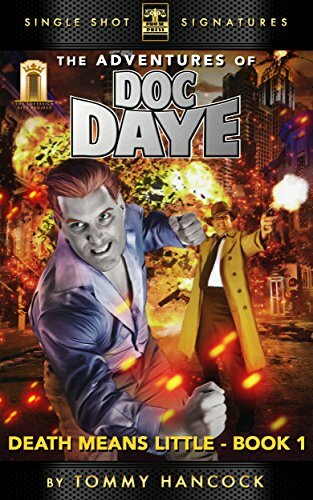 THE ADVENTURES OF DOC DAYE: DEATH MEANS LITTLE - BOOK ONE by Tommy Hancock. From Pro Se Productions!